For patients with medical conditions appropriate for Calmare Therapy, the standard treatment protocol is 10 consistent treatments over a two week period. Most of the time, each treatment lasts from 45 minutes to an hour, but every patient is unique. Depending on the severity of the original condition and the length of time the patient has been experiencing chronic pain, periodic booster treatments may be required to combat any return of pain. 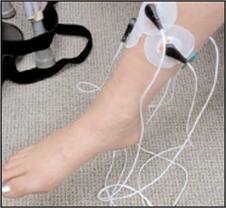 Keep in mind, many of our patients never need further therapy but in RSD cases and other conditions resulting in long-term chronic pain, boosters can be extremely useful against any eventual elevation in pain. The number of booster treatments required ranges from a single session to five or more treatments. Patients who experience a recurrence of pain should document when the pain returns, subsides and what environmental issues were involved (stress, weather conditions, excessive use of the affected area) or if there was no specific cause for the elevation of pain. If you have additional questions about Calmare Therapy or booster treatments, please feel free to contact me directly at (201) 933 – 4440.